The Colorado Plateau – particularly in southern Utah – is filled with slot canyons. Here one can see the immense power of erosion, primarily due to flash flooding, as the Navajo sandstone has been sculpted into beautiful lines and shapes. 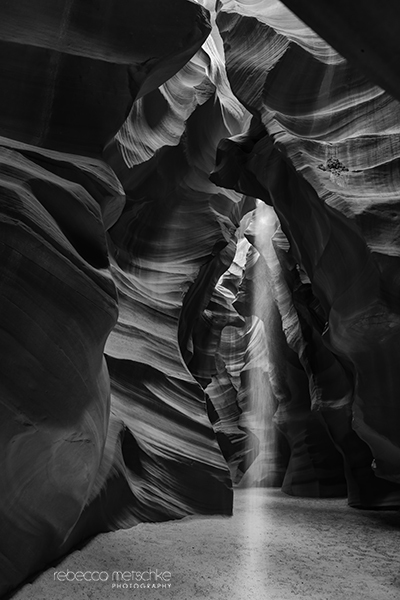 Upper Antelope Canyon, pictured here, is located near Page, Arizona. During certain times of the year when the sun is higher in the sky, shafts of light descend into it. If you’re prone to claustrophobia, this canyon may be the one for you. It’s relatively level, is located at ground level, and is wider than most.